We are one of Australia's leading optical media specialists, supplying to private and public businesses nationwide. We are also one of the largest suppliers of CD/DVD cases. 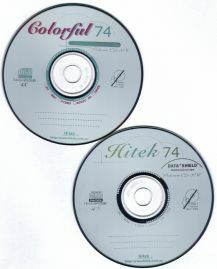 You would have no doubt seen our trademark Colorful and Hitek branded blank CDs somewhere along the way. We are proud to have been able to make our mark in history as the first major importer of blank CDs into Australia. Initially an importer and wholesaler of computer goods, we transitioned into optical storage. We continue this heritage with blank Bluray disks, and we are one of the largest distributors of CD/DVD/BD cases and sleeves. Below are just some of our products. Please call us for latest stock availability. Please use our contact form for emails. Our office hours are below, but we will endeavour to respond as quickly as possible. © 2019 Hitek Optical Storage - Australia. Built using WordPress and OnePage Express Theme.